In Some Countries, "Cool Ranch" Doritos Are Called "Cool American"
In light of recently discovering the fact that some people are calling sandwiches "homemade Subway," it's comforting to know that -- across the world, in a mystical land called Europe -- the adopted names of some products are even better than their original versions. Or just more confusing. 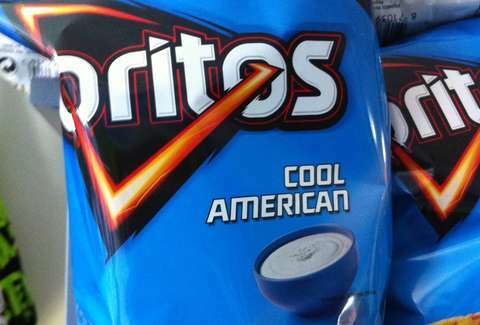 Because apparently, in some European countries, "Cool Ranch" Doritos are called "Cool American." This is due to the fact that most people outside of the US don't really know what ranch dressing is (asked to describe it, one foreign Redditor opined, "It always just looked like salad cream with stuff in it to me. "), and must believe that most of our country is covered in a fine, zesty powder that tastes vaguely of buttermilk and onions. Occasionally, you can find sauce marketed as "American dressing" in Germany, but it is not ranch dressing -- at least not how Americans know it (it's more like Thousand Island, aka Big Mac sauce). Of course, in the UK, the flavor is called "Cool Original," which only makes you wonder if anyone knows what real Doritos are supposed to taste like. Adam Lapetina is a Food/Drink staff writer for Thrillist, and dreads learning what they call Flamin' Hot Cheetos. Read his musings at @adamlapetina.